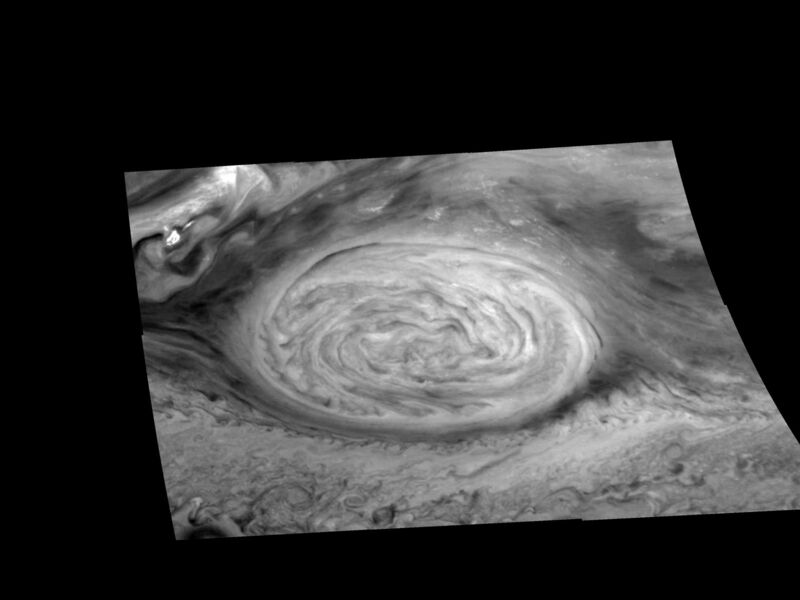 The Great Red Spot of Jupiter as seen through a "Methane" filter (727 nm) of the Galileo imaging system. The image is a mosaic of six images that have been map-projected to a uniform grid of latitude and longitude. North is at the top. The mosaic was taken over a 76 second interval beginning at universal time 14 hours, 31 minutes, 52 seconds on June 26, 1996. 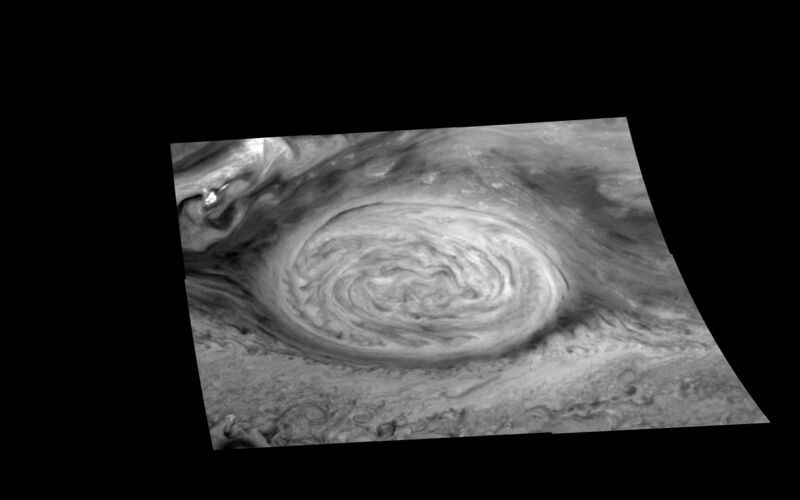 The Red Spot is 20,000 km long and has been followed by observers on Earth since the telescope was invented 300 years ago. It is a huge storm made visible by variations in the composition of the cloud particles. 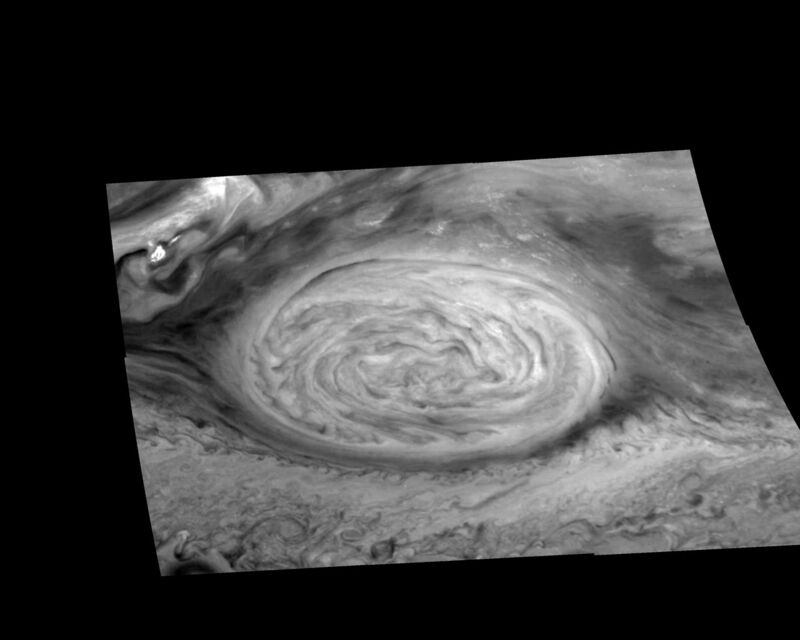 The Red Spot is not unique, but is simply the largest of a class of long-lived vortices, some of which are visible in the lower part of the image. The range is 1.46 million kilometers.